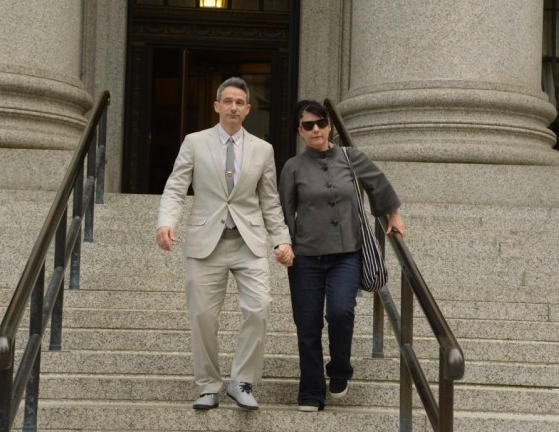 It’s smooth legal sailing again for the Beastie Boys. Just last week, a federal court in New York handed down a decision in an infringement suit against Monster Energy. Monster had used five Beastie Boys songs in a promotional video for a snowboarding competition, as well as “RIP MCA” in a font similar to the Monster logo (Beastie Boys’ member MCA, real name Adam Yauch, died in 2012). The Beastie Boys brought suit, claiming infringement of copyright and that Monster falsely implied an endorsement by the Beastie Boys. After hearing extensive testimony from Adam Horovitz and Michael Diamond, the jury awarded the Boys 1.7 million dollars in damages. We’ve previously reported on legal issues surrounding the potential appropriation of the Beastie Boys’ catalogue before—last year, toy company GoldieBlox sued the Boys, hoping to receive a declaratory judgment in its favor for the use of the song “Girls” in an advertisement. The case settled in March of this year. As part of the settlement agreement, GoldieBlox made a public apology and donated a percentage of its revenues to charities that support STEM education for girls. Hovering at the edges of both controversies is a clause in Adam Yauch’s will. Yauch requested that no Beastie Boys music be used for advertising purposes. Neither case explicitly addressed this clause, however, and some scholars question its legal weight. But the clause may have persuaded the jury to award damages in this case—after all, infringing copyright while countermanding MCA’s explicit testamentary wishes might push Monster Energy into the “bad actor” camp. But without piercing the veil of the deliberation room, there’s no way to know just how persuasive Yauch’s will actually was. If anything, Monster Energy was in a worse legal position than GoldieBlox – the latter’s use of “Girls” turned the frat boy message of the song into an anthem for scientifically-minded girls. That inversion might arguably qualify the song as a legally-defensible parody, long acceptable under fair use principles of copyright (a theory unfortunately left untested by the case’s settlement). If nothing else, the parodical nature of the GoldieBlox parody makes it a little less like appropriation and more like artistic transformation – a value fair use is intended to protect. Monster Energy, on the other hand, didn’t try to assert a fair use defense—it admitted infringement at trial. The only issue then, was the proper amount of damages. Despite Monster’s claim that $125,000 was more equitable, the jury awarded nearly the full amount that Horowitz and Diamond sought ($1 million in copyright infringement damages, and $1 million for the implied endorsement). While this case doesn’t hand down any groundbreaking legal principles, it does at the very least establish the high value of the Beastie Boys’ catalogue. Of course, Monster intends to appeal—so the question may not be completely closed. In any case, the lesson is clear: The federal court, and likely the court of public opinion too, are very much on the Beastie Boys’ side.